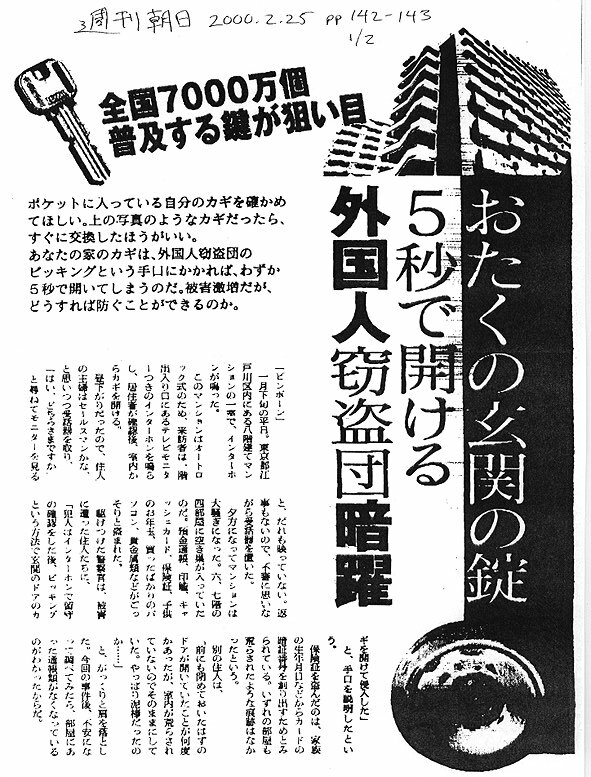 Information site by Project Coordinator Dave Gutteridge on a public celebration (dressing up like sealions and asking for a juuminhyou, Feb 22, 2003), a formal request for registration changes at Yokohama Nishi Ward (Feb 24, 2003) at http://www.gutteridge.info/tamachan/index.html. 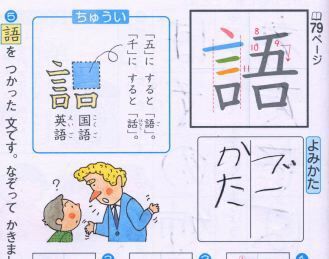 Olaf Karthaus on a Second-Grade Kanji (Japanese Characters) school textbook (see illustration) published by Kyouiku Doushinsha, which uses a blonde long-nosed foreigner talking at a non-comprehending little Japanese boy to illustrate the character for "language" (語). 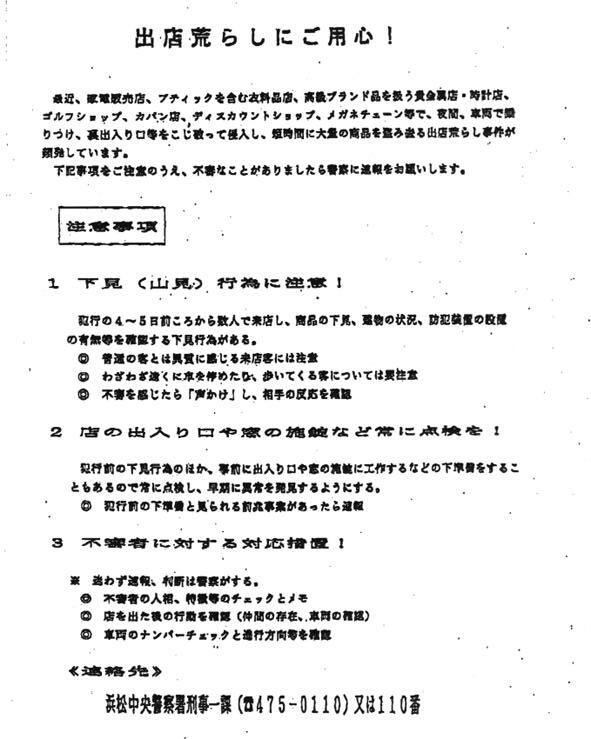 Information site at http://www.geocities.com/okarthaus/go.htm or at The Community at http://www.debito.org/TheCommunity/olafonkanjitextbook.html Thanks to an inquiry from Tim Greer, apology letter from Kyouiku Doushinsha here. 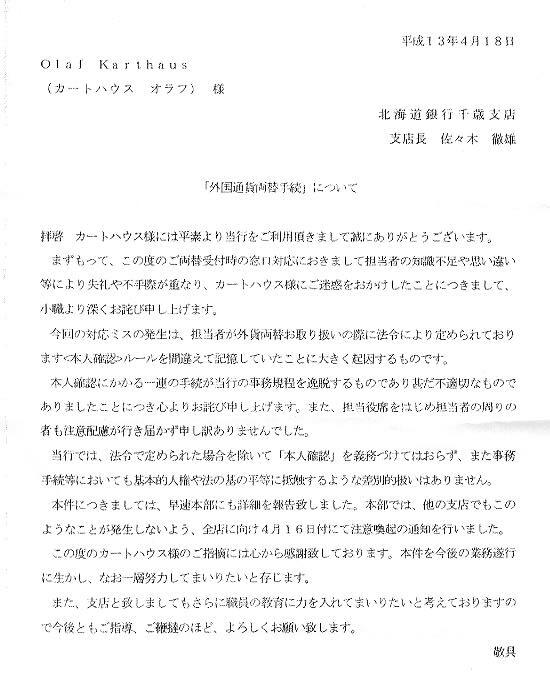 OTARU ONSENS LAWSUIT: SAPPORO DISTRICT COURT DECISION NOV 11, 2002 finds Onsen "Yunohana" bathhouse guilty of "racial discrimination" for excluding all foreign-looking patrons and orders it to pay three foreign-looking Plaintiffs 1 million yen each. 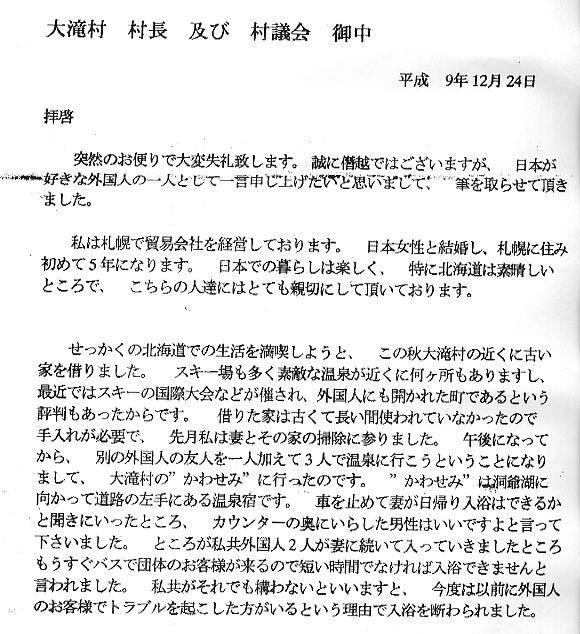 (Otaru City, however, was exonerated of Plaintiffs' claims of violating the UN Treaty against Racial Discrimination for not taking effective action against discrimination in its administrative area for several years. 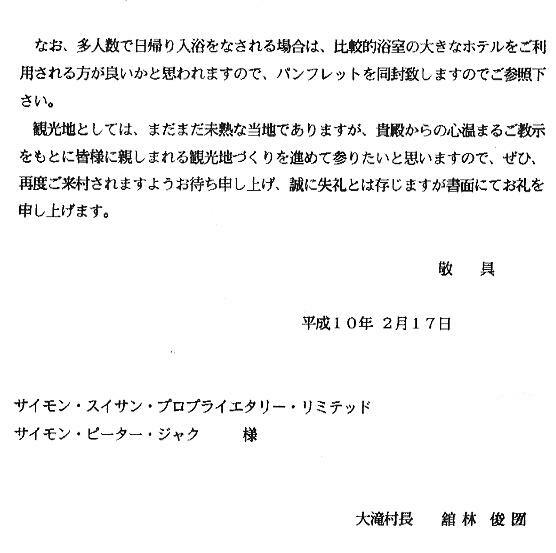 The court also held that Japan's administrative branch is not duty-bound to make laws against discrimination.) 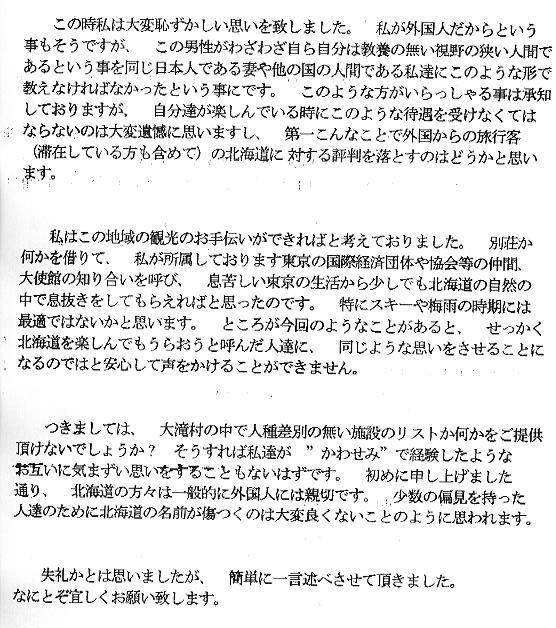 Full report in English and Japanese here. 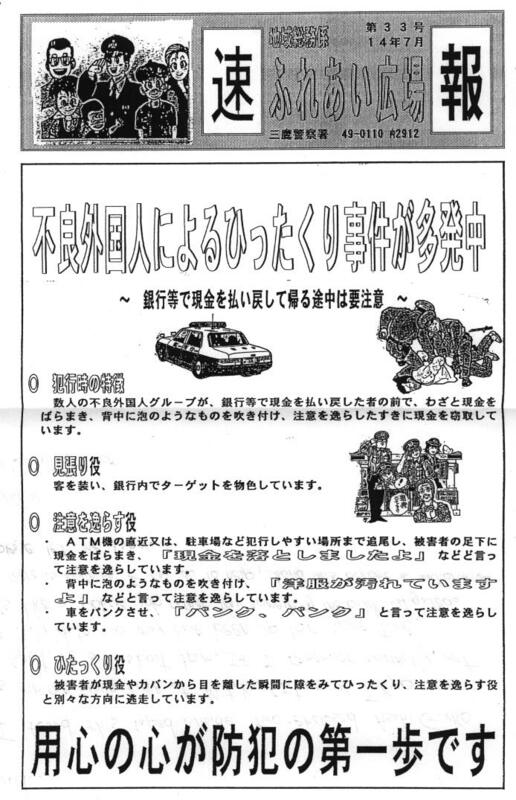 NAKANO-KU BANKS AND STATIONS REMOVE DISCRIMINATORY FLYERS ISSUED BY TOKYO POLICE (October 2002) Under a Tokyo-wide campaign by Japanese police to increase public awareness of alleged foreigner crime methods, several public places sprouted "beware bad-foreigner bagsnatchings" and "hold onto your money if a suspicious foreigner calls out to you" notices. 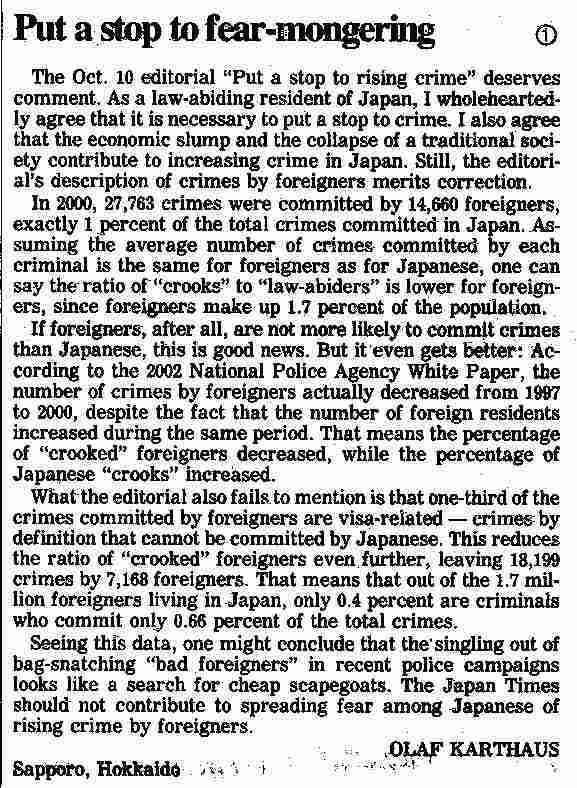 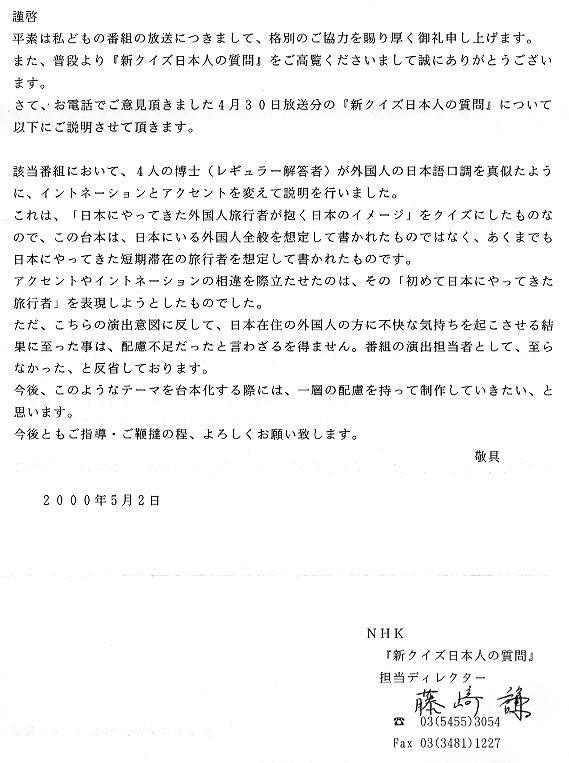 On Sept 30, 2002, The Community, in conjunction with several other human rights groups and the Asahi and Mainichi Shinbuns, went around to JR Nakano, Subway Nakano Sakaue, and the Nakano Branches of the Chuo Mitsui Shintaku Bank and Daiwa Securities, to hear their side and explain ours. 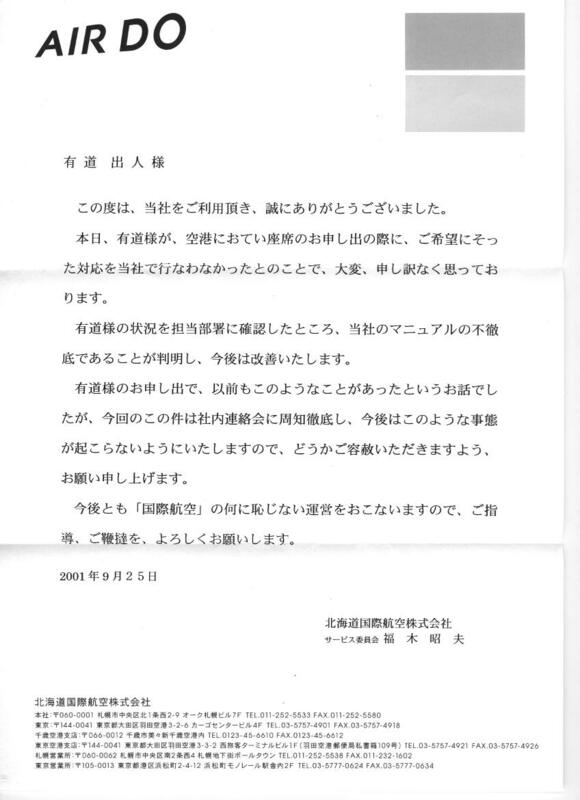 The discriminatory notices came down within 24 hours, demonstrating how community activism can indeed produce positive outcomes. 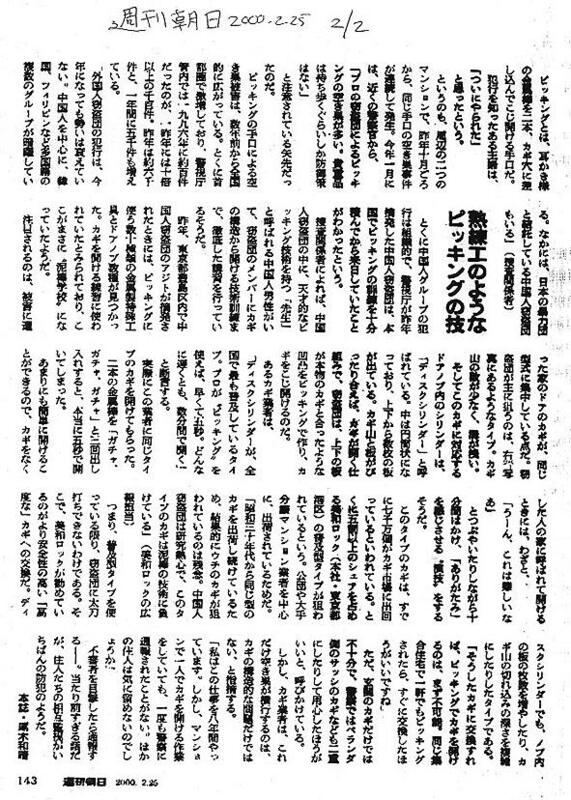 Pity there are plenty more places left. 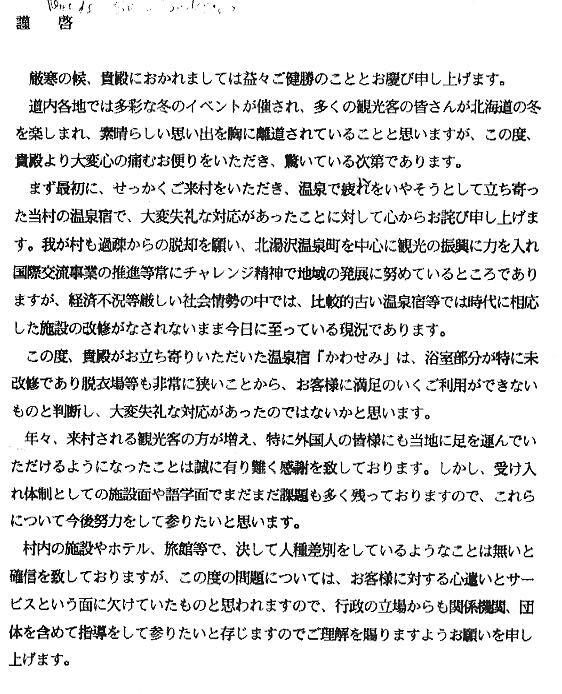 Report in English and Japanese here.